Mai Thi Yen Trang was born in Vietnam in January, 1988. 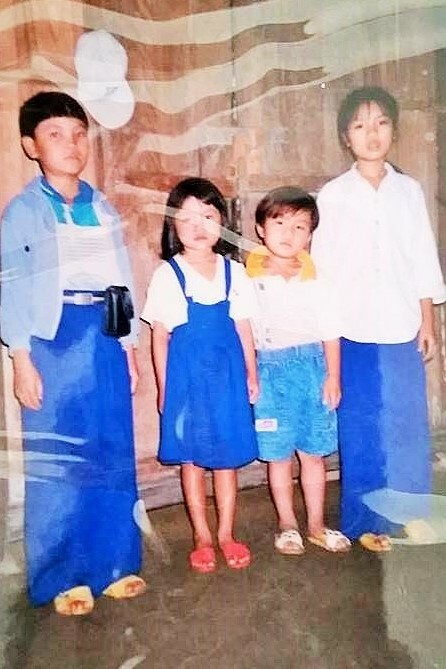 Her father, Choi, a gold miner, died in a cave-in, leaving her mother, Nguyen Thi My Kiem to care for Trang (6) and her three siblings: Nuong (8), Meeyoom (3), and Dung (in utero). To earn a living for her family, Kiem tended a garden and sold potato leaf, bok choy, and other vegetables. Trang enjoyed her simple village life– playing hopscotch and potato-leaf hacky sack with her siblings. She recalls sneaking over to the coffee shop across the street for sugar cane, making a mess all over the dirt floor of their home while her mother was away at the market. 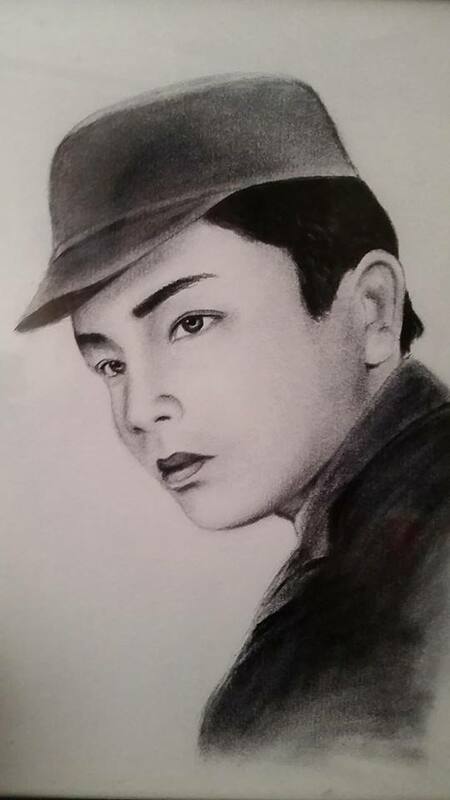 A few years after Choi’s death, Kiem became sick with cancer. Trang and her siblings watched their mother deteriorate to the point that she crawled on her hands and knees to the river where she wished to die. Trang, terrified, would run for her aunt and uncle to help return her mother back to their home. One day, when the family was gathered around Kiem’s bedside, Trang and her sister, Nuong, were sent to the river to do laundry. The younger siblings were away with relatives. When Trang and Nuong returned from the river, proud of themselves for finishing all the laundry, their aunt and uncle informed them that their mother had passed away, her dying wish that the four siblings remain together. After Kiem’s funeral, Trang remembers seeing butterflies everywhere she looked – a vivid reminder of her mother’s gentle spirit. 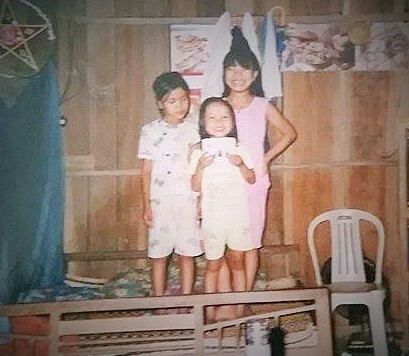 Immediately after, Trang’s uncle moved her and her siblings to Da Nang to live with his wife and family. 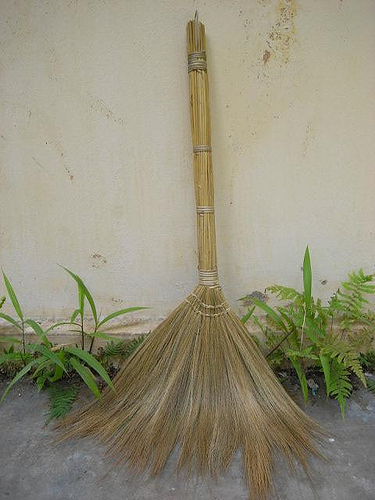 Then, another uncle moved Trang and Meeyoom in with his family in Hue, leaving Nuong and Dung behind in Da Nang. Soon after, Meeyoom and Dung were sent to a Vietnamese orphanage. 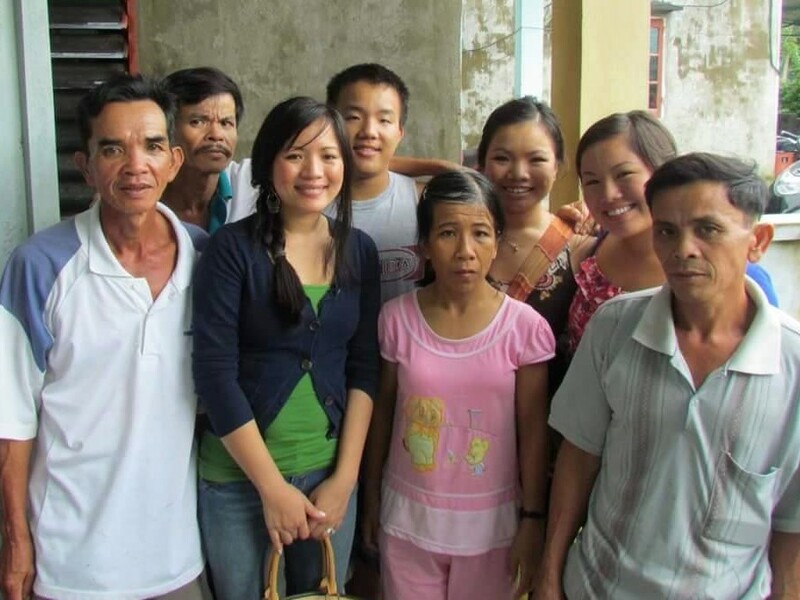 Trang felt like a true part of her aunt and uncle’s family, and was grateful for a home and a purpose. When Trang heard that her siblings, Dung and Meeyoom were being adopted by a family in the United States, she was devastated — worried they were being sold as slaves. When she later received photographs in the mail of her siblings swimming and playing in a lake, Trang thought for sure that the pictures were fake. 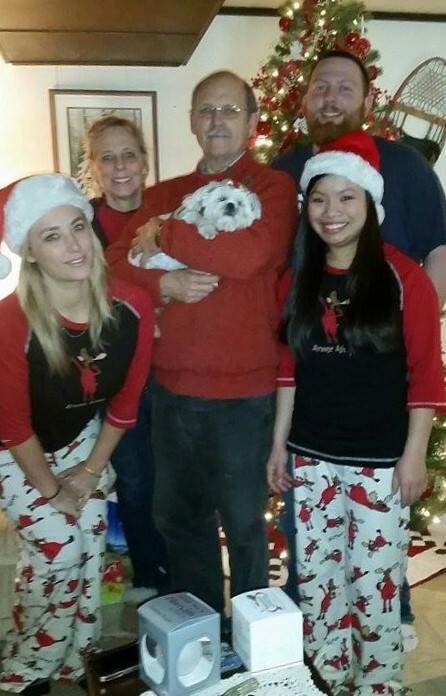 When Dan and Carol Mitchell of Iron Mountain, Michigan traveled to Vietnam, they intended to adopt one daughter, but left with both Dung and Meeyoom; the siblings were so attached to one another that Dan and Carol could not bear to separate them. After adopting Meeyoom and Dung (who chose the name of Jon) the Mitchells hoped and prayed to find a way to bring Trang and Nuong to Iron Mountain as well. 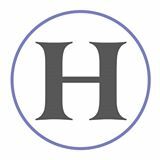 They told their friends and neighbors, Jim and Shelly Danielson, about the girls. After a long period of time in prayer, Jim and Shelly decided to begin adoption proceedings, which took close to two years to complete. 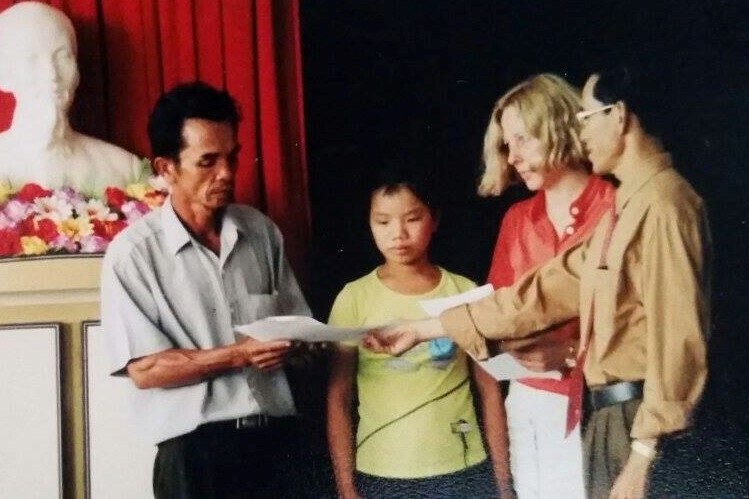 During that time, Nuong became too old to be adopted, so Carol and Dan decided to financially support Nuong to attend school in Vietnam. When Trang’s uncle from Da Nang showed up at her home in Hue in September 2001, Trang was surprised to learn from him that Nuong was very ill. Trang traveled to Da Nang with him, only to learn that Nuong was not sick at all, but her uncle had quietly arranged for Trang to be adopted by a family in the United States that lived in close proximity to the Mitchells. Trang was escorted to a hotel in Da Nang, where she met Shelly, her friend MaryAnn who had traveled with her for moral support, and their translator, Nhan. After lunch and discussion, Trang went home to Hue for one night to retrieve her belongings and say goodbye to her uncle’s family. Official legal proceedings and an adoption ceremony took place the very next day. After a few days at the hotel in Da Nang, it was time for the group to return to Ho Chi Minh City to begin the lengthy process of obtaining documentation from the INS and Vietnamese government for Trang’s emigration. Trang clung to Nuong before climbing into the car and riding away, knowing that only in parting with one sibling could she soon be reunited with the other two. 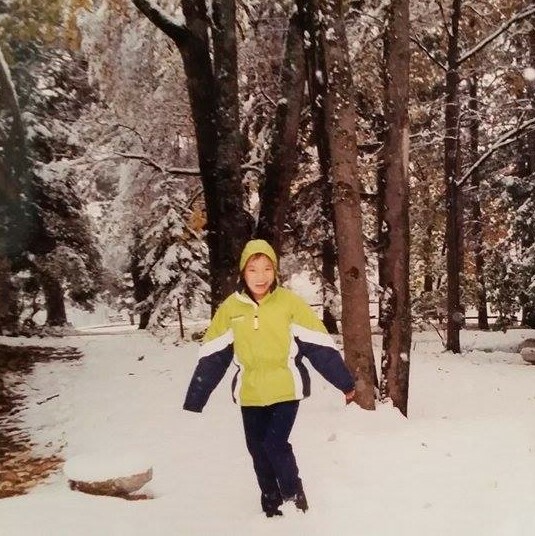 Trang arrived in America on October 11, 2001, at the age of fourteen. When she arrived at the Danielson residence, she grabbed the phone to call Vietnam. “I wanted to let my sister know that I got here safely, and that I was ok. I’d survived my first time in an airplane. The transition to life in America was challenging for Trang. Her reunion with Jon and Meeyoom was not exactly what she had anticipated because neither of them could speak to Trang in their native tongue. Now she would have to learn a new language in order to communicate with her own siblings. Trang’s first visit to the dentist proved to be interesting as well; as the dentist turned his back, she escaped out of the building. Trang had never been to a dentist and was terrified, but because of the language barrier, no one was able to communicate to her that she need not be afraid. 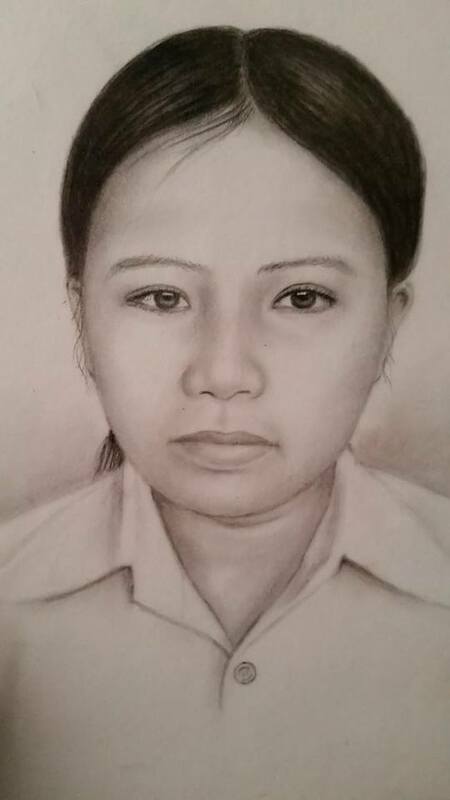 Trang was not found until she returned from a five-mile walk home. Although Trang was willing to assimilate into a new family, church, and school, in some important ways, she was determined to cling to her Vietnamese culture during this time of transition. Trang was thankful that people were kind and compassionate toward her, but felt sorry for those who had to communicate with her at school. Faced with incredible difficulties understanding the English language, she worked with a translator a few times, and received help from a kind and patient teacher’s aide. 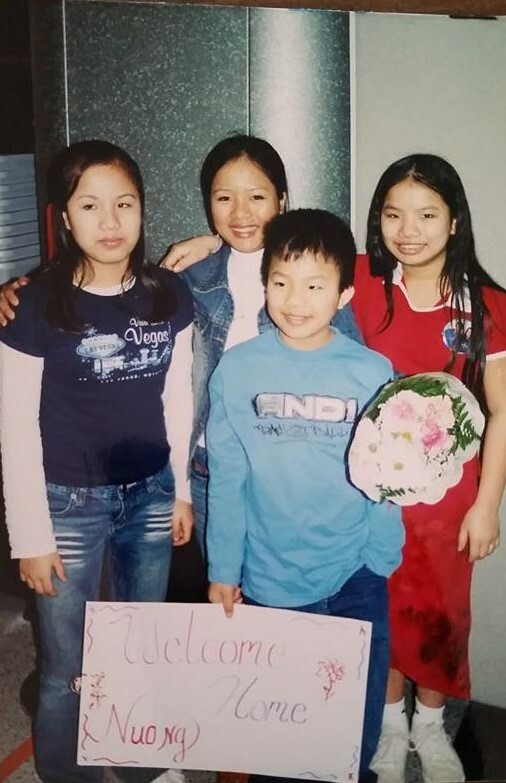 A few years later, Trang received the news that her sister, Nuong, would be coming to the US. The Mitchells had sponsored her to attend Kingsford High School, and later Northland International University, on a student visa. For the first time in many years, all four siblings were together again, the earnest wish of their mother fulfilled at last. Today, the adult siblings are scattered throughout the United States, returning home to Michigan for holidays and special events. The youngest, Jon, attends college in Milwaukee. Meeyoom is a teacher in California. Nuong, now called Alyssa, is married with one young son, living in Delaware. Trang, a certified nursing assistant, is employed at a nursing and rehabilitation center in Kingsford. “I was one expensive adoption because of all the paperwork and drama my mom and dad had to go through. “I went back to Vietnam in 2004 and 2010. It’s nice to visit, but Michigan is my home now. 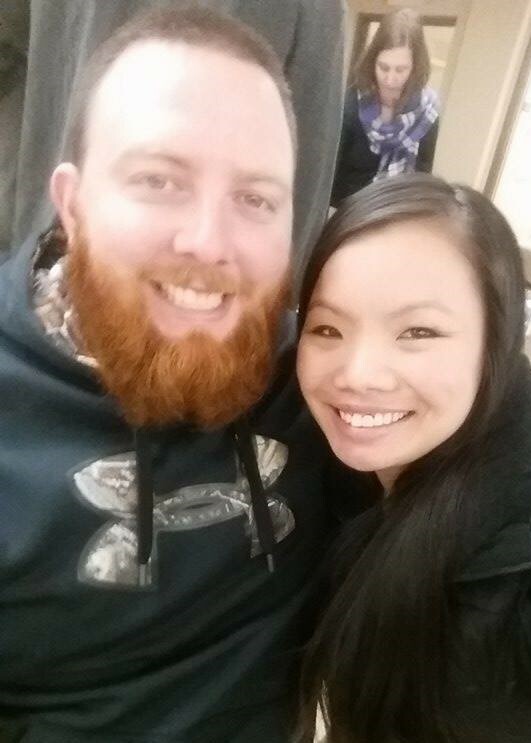 In 2013, Trang met Ross Neubauer through an online dating site. “I knew there was something special about him the first time we met. I’ve never been so comfortable with anyone in all my life.” After a year of dates—dinners and movies, fishing excursions, running the steps at Pine Mountain Ski Jump – Ross asked Trang to be his wife in July of 2014. 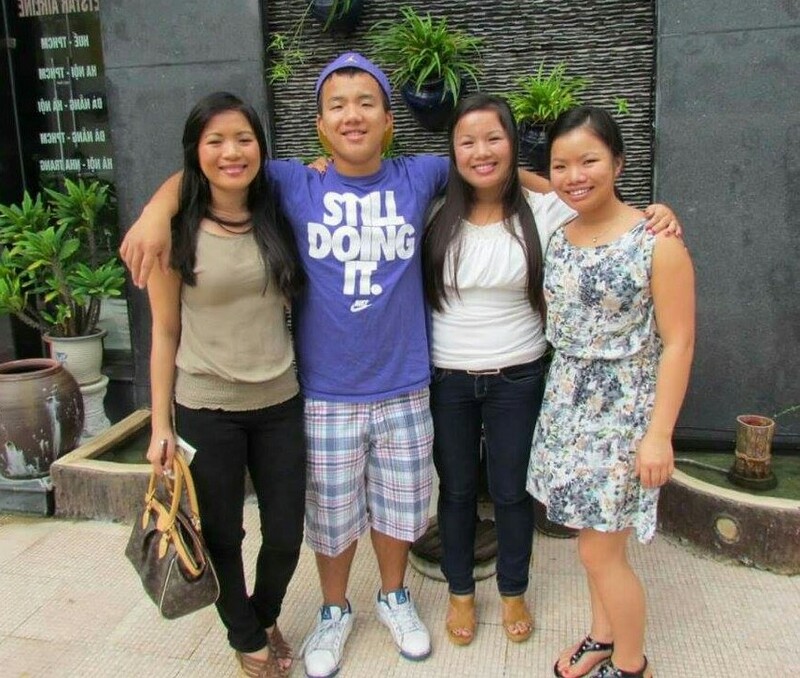 This June, the four Vietnamese-American siblings will be together once again for the wedding of Ross and Trang. 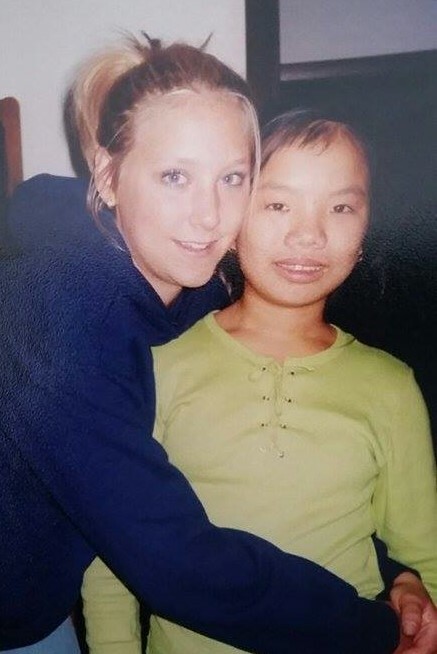 Though her biological parents will only be present in memory, Trang’s siblings and her two other families, the Danielsons and the Mitchells, will be present as she marries her best friend. Some of us spend all of our lives in one place, with one family unit. 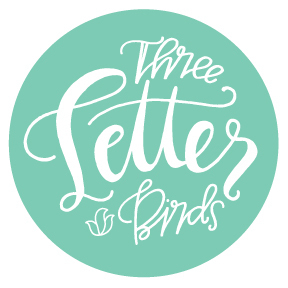 Others’ lives span continents and oceans, winding through the hearts and homes of many families. 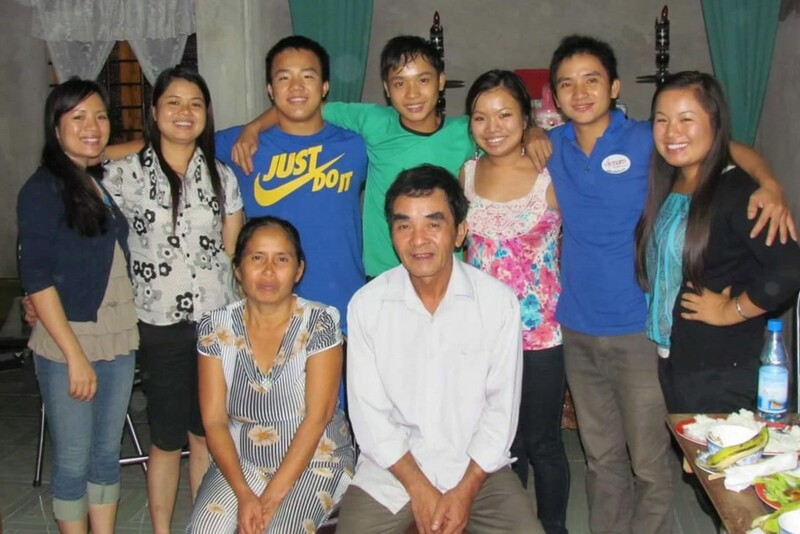 In her final moments of life, when Nguygen Thi My Kiem wished for her four children to be together, she could not have imagined that wish would be fulfilled by two American families determined to bring these siblings together. She could not have imagined that her children, like butterflies themselves, would soar on jetplanes and glide in cars to their destinies, exploring a new country and making it home, yet still preserving the memories of their very first home and very first family….of a simple life in a hut beside a vegetable garden in a quiet Vietnamese village. What a heartwarming story ! Thank you for supplying so many details. I just came from Trang’s wedding shower. She is beautiful and so happy. I am her Step-Grandmother. I love her. Isn’t her story incredible, Marilyn! So glad you had a chance to read it. She is one special girl. I love her too! You are so right. What a blessing that those two incredible families reached out in love and found a way to bring the siblings together again! I’m so happy you are enjoying my writing. Thanks for letting me know! I hope you’ll come back again soon. Really enjoyed reading this! It brought tears to my eyes!!! Thanks for taking the time to write this. You tell Trang’s story so lovingly, Stacey. Simple. Beautiful. Poignant. Perfect. Oh Kendalynn, thank you. It is such a poignant story to begin with. I feel fortunate to be the teller!